For this week’s column I’ve decided to go against my own grain and instead of reviewing an independent comic or spotlighting a certain creator or gallery show I’d like to profile a website that every sequential art fan should know about, but many currently may not: www.comicartfans.com. It’s a pretty safe bet that anyone reading this collects comics. And while I agree that having a first print of a notable issue or that hard-to-find variant cover is awfully keen, there is nothing cooler within the hobby than owning original art. 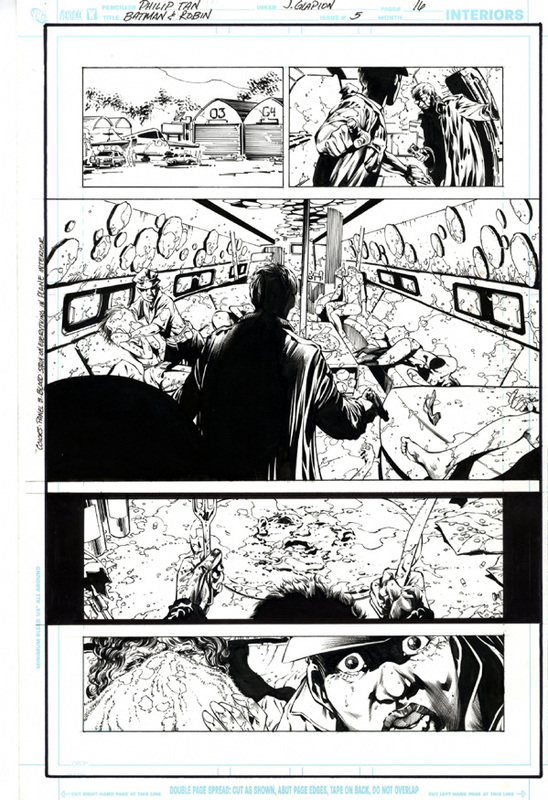 And sellers of original art is exactly what you’ll find (and many of them) at the comicartfans website. The really wonderful thing about this site is that there is such a wide range of users, buyers, and sellers to be found that you will be able to find something within your interests regardless of what they may be. 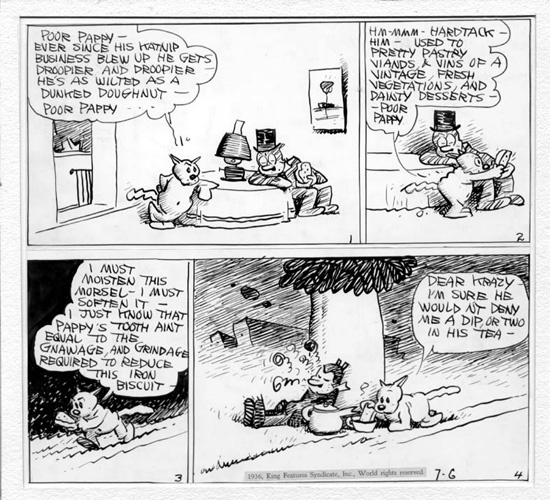 It could, for example, be a Krazy Kat strip from 1936. 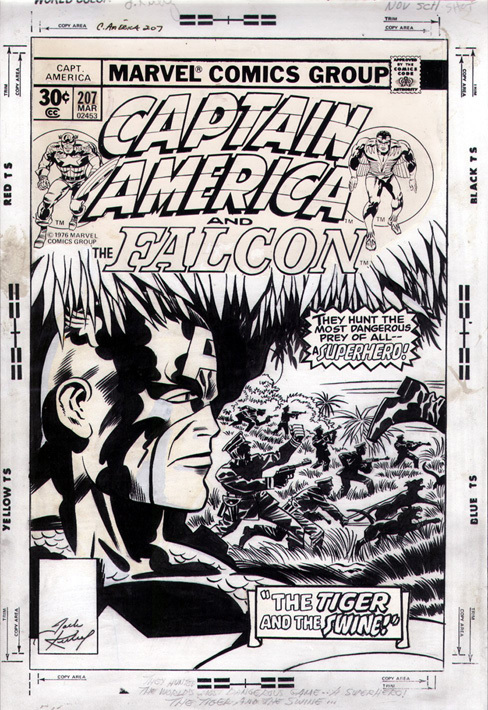 Or how about this dramatic Captain America cover by Jack Kirby? Perhaps a page from Love and Rockets is more your style. 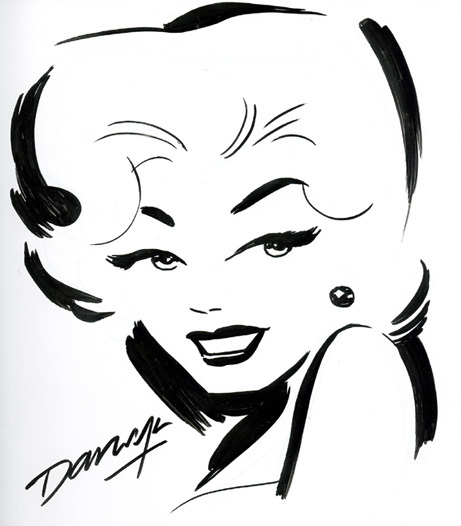 This Darwyn Cooke sketch of Marilyn Monroe is sure to turn some heads in the direction of your collection. And speaking of variant covers, why not just own a real one like this Blackest Night: Teen Titans piece by Brian Haberlin? Of course, one in the pursuit of original comic art needs to keep their expectations realistic. Covers or pages that feature a highly notable sequence (fight scenes, for example) are going to be going for much higher prices. This, however, does not mean there aren’t exceptions to this rule. The Teen Titans cover above, for example, can be had for $350.00. Now, I realize this is not exactly chump change, but trust me that a cover from such a high profile, mainstream publishing event like Blackest Night at that price is actually extremely reasonable. Another plus is that those who run comicartfans scour ebay for the most interesting pieces up for auction there and spotlight them, which is no small task. For those high-rollers among us there are ample chances on this site to obtain what are referred to as “grail” pages, those pieces so legendary one can barely phantom locating them, let alone owning them. For me that would be an example like the page below: it’s from a six page, full E.C. comics story currently available, drawn by Jack Davis, from ShockSuspense Stories. Price: $19,500. (Sigh) someday…. If you are wondering why I’m giving such a rallying cry for comicartfans it is because, although I am on a collecting budget, I have still found a great page for myself after discovering this site. Being a big fan of Grant Morrison’s work I am naturally reading his current run on Batman and Robin. I quite like Philip Tan’s artwork on that title and looked on the comicartfans site for pages, never really expecting I’d be able to get one. 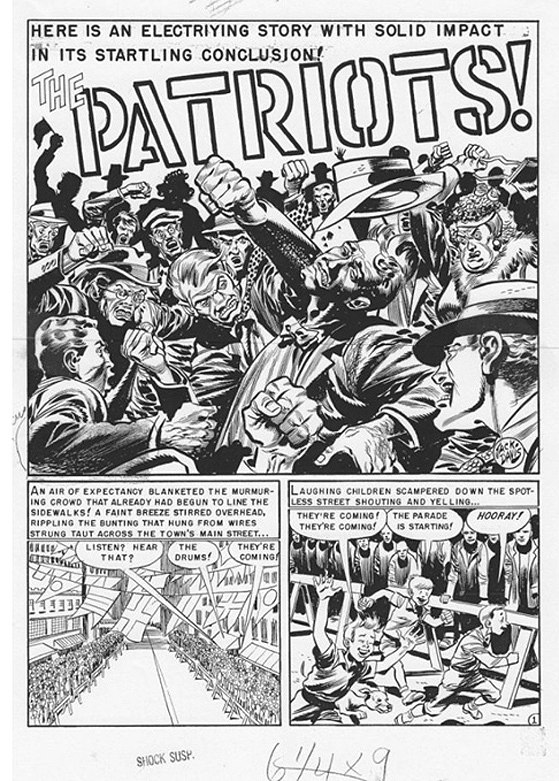 I just about fell out of my chair when a fantastic (and very graphic) page, featuring the first appearance of The Flamingo, was available for $75.00! Needless to say, the page below is now in my collection. 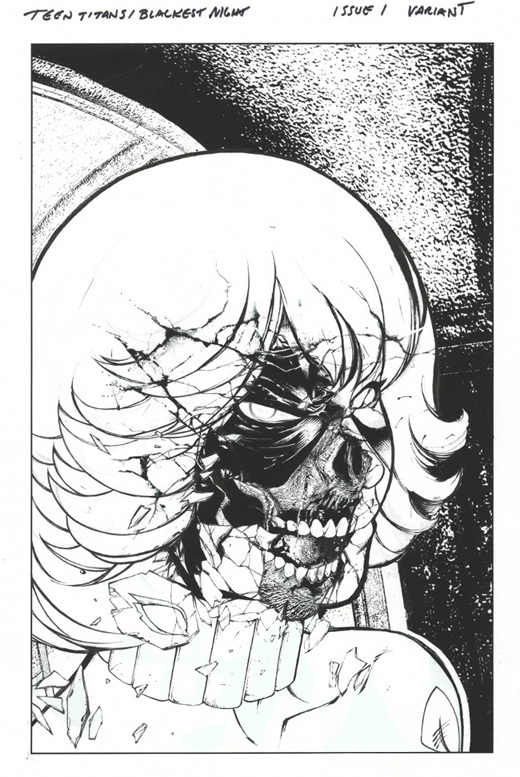 Buying (or trading) comic art is not the only reason to go to the site, however. There are many user galleries where fans post images from their own collection and welcome comments from others on the pieces. This aspect of comicartfans almost functions more like a social website where a fan can communicate with others who love the medium as much as they do. Registration at the site is free and gives one access to everything on it including contacting all the sellers found there. Really, the only drawback to the site is that there is so much cool stuff on it that one can really while away some serious time there. Imagine how easy it is to lose a few hours looking at neat stuff on ebay. Now imagine if there was an ebay that had nothing on it but comic and illustration art and you’ll start to catch my drift. In a very short time www.comicartfans.com has become one of my favorite sites and I recommend every sequential art fan to check it out. But only after thoroughly reading Comic Impact of course!